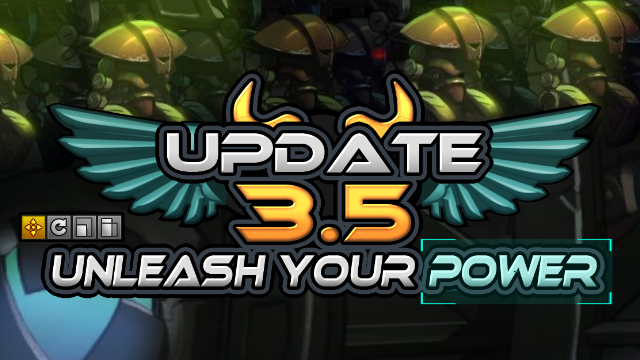 The Beta for Awesomenauts 3.5: Unleash your Power has been live for two weeks now and we’ve seen lots of great maps and other creations uploaded to the Workshop already! Take the Flying Seas of Okeanos by Nikey9, a cool Awesomenauts map with an underwater segment (LINK), or The Breach of Omicron by Blatoy, which is a single-player map that really blows your mind (LINK), for instance! We’re amazed by the content that has been created so far, and can’t wait for the level editor to go live for all users in Update 3.5. We have yet to set a date for this update, but can promise you that more features will be added to the toolset before then! On the Streamisho today, we announced that Awesomenauts 3.5 will also introduce an important change to the way the in-game chat works. When the update goes live, players will no longer be able to use the in-game chat feature to talk to their opponents in matchmade games. We’re doing this because we continue to see a large amount of abusive comments and general toxicity in cross-team chat, and very few positive interactions, so feel like this change will make it a more pleasant experience for everyone. Of course, you’ll continue to be able to use cross-team chat in custom games. We look forward to hearing your feedback on this change. During the show, we also discussed the upcoming new ALWB Tournament, dubbed the Galactic Warfare! In this tournament, four teams will be drafted by Ronimo team members from the very best Awesomenauts players. These teams will face off against one another, leading up to the eventual playoffs. Players who have not been drafted will be able to compete in the same tournament, in a separate ladder! For the full details, please visit ALWB.ca or catch the interview we did with Bets, the host of ALWB, in the Streamisho VOD. Tune in to the Streamisho next week as Kewn, Jasper, Davey, and Robin from the Ronimo Games team draft these four teams! And while we’re talking about the competitive scene, don’t forget that the Arena League playoffs will take place this weekend. Ten teams have qualified, including Team Keznia, Pushback, HDTV, Dank Wankers, We can do this, Team Brunch, Knockout, AKI, Little Boys, and Spade &his incredible team. The matches will be covered during a stream on Sunday at 20:00 EU / 19:00 UK / 2PM ET / 11AM PT over at twitch.tv/awesomenautsarenaleague. The Scrim Show is back! Tomorrow, the Awesomenauts Rumble will bring back the community-favorite Scrim Show over at twitch.tv/AwesomenautsRumble at 18:00 EU / 17:00 UK / noon ET / 9AM PT. During this show, scrim matches between community teams will be covered and discussed, so it’ll be a great show to catch if you’re interested in getting into the competitive scene!